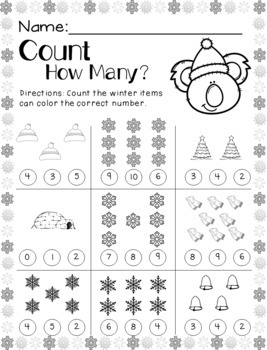 This packet contains winter themed math materials you can use with your students. 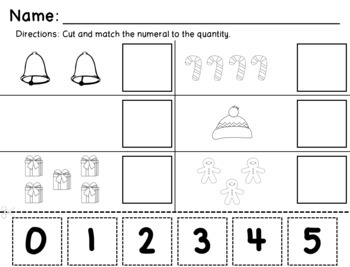 You can use these materials in small groups, morning work, independent work, or even sent home for extra practice. 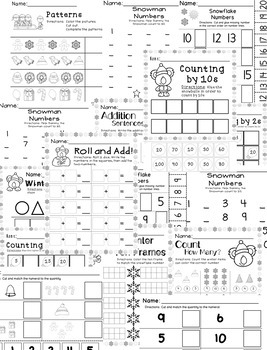 Topics touched on in this packet include number order, addition, ten frame, shapes, quantity identification, and patterns. 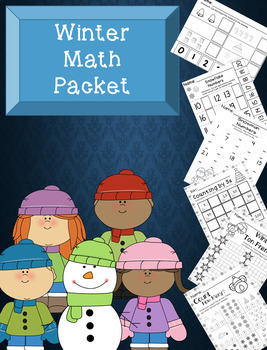 There are 20 math work pages included in the Winter Math Packet. All pages are black and white so NO COLOR INK! NO PREP! JUST PRINT AND COPY! Buy more and save with Combo packs! and more at ABC Penguin! Please check out more great products from ABC Penguin!